Learn more about the Rollins Department of Business faculty and staff. Our programs are taught by faculty with the highest level of qualifications who maintain vibrancy and currency in their fields through research and publishing in peer-reviewed journals, presenting their work at professional conferences, writing textbooks, and engaging in other scholarly activates each year. Continuous process improvement in our content and teaching methods is assured through our ongoing systems of assurance of learning that tracks and measures our effectiveness in developing our students to meet the challenging demands of the profession of business regardless of the context of practice: international, entrepreneurial start-up, family business, small business, nonprofit, or social enterprise. Sharon Agee is an Instructor of Accounting in the Department of Business. She teaches Financial & Managerial Accounting at the undergraduate level. She received her BSBA with a major in accounting and Masters of Business Administration from the University of Central Florida. 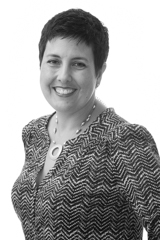 She is a member of the FICPA and is active in the Local Practitioners Group. She is a licensed Certified Internal Auditor (CIA) and Certified Public Accountant (CPA). Prior to academia, she worked in banking and as an auditor with Coopers & Lybrand. 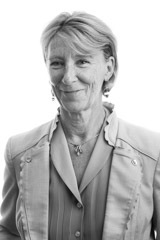 Prior to joining Rollins, Dr. Michele Boulanger had a multi-faceted career as an executive global manager (Vice-President of Performance and Quality at Motorola), as a consultant and business owner (President of JISC-Statistics), as a researcher (Member of Technical Staff at AT&T Bell Laboratories) and as a teacher (University of Rhode Island, Columbia University, East China University of Science and Technology). 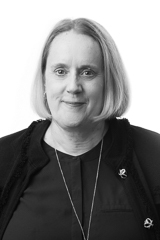 She has contributed to the development of international standards in statistics throughout her career, and she is the current Chair of the International Organization of Standards (ISO) Technical Committee TC69 - Applications of Statistical Methods. Her latest research is in the area of cross-cultural intelligence, Lean Six Sigma, and forensic handwriting. David Caban is an assistant professor of accounting in the department of business. He teaches financial and managerial accounting at the undergraduate level. Professor Caban received his MBA from Barry University in Miami, FL. Prior to joining Rollins College, he attained his PhD in Business Administration with a concentration in accounting from Florida Atlantic University. He is both a Chartered Financial Analyst (CFA) and a Certified Public Accountant (CPA). His research is focused on financial accounting and capital markets. Christy Delk teaches introductory business courses based on her in-depth practical experience as a 17-year corporate marketing veteran and then 15 years as owner-operator of a large franchised business in Orlando, Florida. In addition to teaching, she is a franchise industry speaker and writer and has a small local real estate company. She is often called upon to present to business organizations and other groups to share her successful strategy and sale in order to help other entrepreneurs enhance and grow their businesses. Considered a Business Generalist, she taught at Rollins as an adjunct professor before joining the faculty full-time in 2017. Marc Fetscherin is a Full Professor of Marketing and the Ronald G. and N. Jayne Gelbman Chair of International Business in the Department of Business (AACSB accredited) at Rollins. Prior to Rollins, he was the CEO of a small luxury Swiss company as well as a senior consultant for McKinsey & Company. He is/was a Visiting Professor at the East China University of Science and Technology (China), the Copenhagen Business School (Denmark), Jacobs University (Germany), the University of Fribourg, (Switzerland), the University of Lausanne - HEC (Switzerland), and the Lucerne University of Applied Sciences and Arts (Switzerland). He was also an adviser to the Swiss Government as a member of the Federal Commission of Consumer Affairs. He has published numerous books, book chapters, and journal articles. His articles have appeared in Harvard Business Review, Management International Review, International Business Review, Journal of Business Research, Journal of Global Marketing, International Marketing Review, European Journal of Marketing, Journal of Consumer Marketing, Journal of Brand Management, Journal of Product and Brand Management, Journal of Place Branding and Public Diplomacy, and Tourism Management among others. His three edited books are Consumer Brand Relationships: Theory and Practice (2012); Consumer Brand Relationships: Meaning, Measuring, Managing (2015), and CEO Branding: Theory and Practice (2015). He has won numerous teaching and research awards, including the designation as a SuperProfessor by Faculty Row. 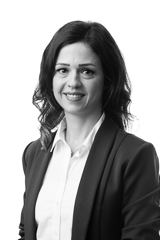 Serina Al Haddad, Ph.D. teaches classes in business statistics and operations management. Before coming to Rollins, she taught classes in business statistics and analytics at Stetson University for three years and received the Outstanding Teacher of the Year Award in 2017. Dr. Haddad also taught undergraduate and graduate classes in statistics and decision analysis at the University of Central Florida (UCF). She completed her doctorate at UCF in management systems. She has more than fourteen years of experience working in both academia and industry. She held multiple positions in statistical quality control, customer relationship management, institutional development, and business process reengineering. Her research interests include statistics, business analytics, innovation, and organizational development. 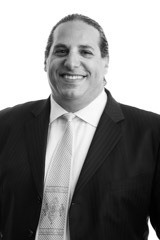 Dr. Haddad is a freelance consultant and trainer. She is one of the main authors of Excel Grader projects in Pearson MyLab Statistics. She has worked with many organizations including Junior Achievement, State University of New York and the United States Agency for International Development (USAID). She is a member of the Institute of Industrial and Systems Engineering (IISE). She was a founding member and served as president of the IISE student chapter at her undergraduate university. Dr. Haddad’s working experience brings a lot of real-life examples to the classroom. Her students appreciate her passionate teaching, which keeps them highly engaged throughout the learning process. 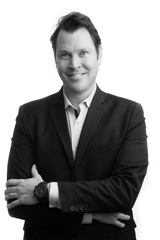 Devin Hargrove is an Assistant Professor in the Department of Business at Rollins College where he teaches International Organizational Behavior. 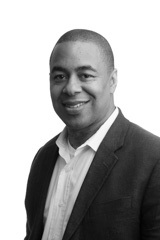 Prior to his work in academia, Dr. Hargrove worked in industry for Accenture as a Manager of Strategy and Proctor & Gamble as an Assistant Brand Manager. Devin Hargrove earned his PhD in Management and Organizations at Duke University’s Fuqua School of Business. Devin has a B.A. from Morehouse College, an MBA from Dartmouth and an M.S. in Sociology from the University of Wisconsin. His current research interests are leadership, self-monitoring and trust. Mark Heileman is a Visiting Assistant Professor at Rollins College. 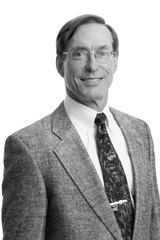 Dr. Heileman has extensive industrial experience in systems engineering and management on Department of Defense and NASA projects, as well as a Principal Investigator on multiple Small Business Innovation Research and Small Business Technology Transfer awards. Dr. Heileman's primary research interest is applying evidence-based management and operations research methodologies to improve business performance, focusing on technology transition from research and development to commercialization. 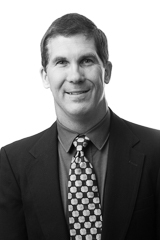 Dr. Heileman is also a registered professional Engineer in Florida. 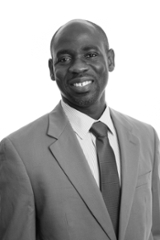 Dr. Ahiteme Nick Houndonougbo is an Assistant Professor of Economics at Rollins College, where he teaches courses in micro- and macro-economics, and entrepreneurial and corporate finance. Dr. Houndonougbo's research is policy-centered and focuses on macroeconomic and fiscal policy issues in small open economies. Prior to joining Rollins College, he studied and worked in Ivory Coast and Benin, in West Africa, and received his PhD in Economics from the University of Tennessee in Knoxville. Dr. Jubelt has over 30 years Real Estate Investment, Asset Management, Hospitality Management, and Property Management experience in the US and globally. She has been a Real Estate broker in the state of Florida for over 25 years and is co-founder and managing member of APM Services, LLC, a Real Estate Investment Management firm. 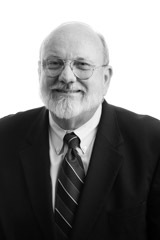 Dr. Jubelt has completed research in Real Estate including the topics of CAM certification for the National Apartment Association Education Institute (NAAEI) and Competencies Required of Property Managers in High Performing Work Settings within the Residential Multi Family Real Estate Industry, and additional research on Real Estate Negotiations. Dr. Jubelt has also been a speaker for the NAAEI national conferences on the topic of the exemplary performing manager and competencies of high performing managers. Dr. Jubelt teaches courses in business and finance including Entrepreneurial and Corporate Finance, Responsible Leadership, and Business Innovation and Entrepreneurial Thinking Intro for the Responsible Business Management and the Social Entrepreneurship & Business Majors courses at Rollins College. Professionally, Dr. Jubelt held positions internationally with Kempinski Hotels, China, ITT Sheraton Corporation, Four Seasons Hotels, and Helmsley Hotel Corporation. She received a Doctorate degree in Business Administration as well as a MBA from Crummer Graduate School of Business, Rollins College. She received a BS in Business Management and Nursing from Elms College, Chicopee, MA. Dr. Kip Kiefer teaches the department's capstone strategy course. His research examines strategic management and entrepreneurship, especially new venture creation, opportunity recognition, and interactions between firm managers. He is an award-winning teacher and researcher having earned Best Instructor Awards at the Air Force Academy for both core and elective courses and won the Academy of Management's coveted Sumantra Ghoshal Research Award. Dr. Kiefer consults for a number of organizations including small start-up firms such as Paranoid Fan and medium-sized enterprises such as Therapy West Inc. 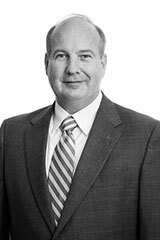 Prior to joining Rollins, Dr. Kiefer served over 21 years as an Air Force officer conducting Acquisitions Program Management. His assignments included a wide variety of programs ranging from large-scale space launch acquisitions to entrepreneurial emerging technology exploration. In one of his final Air Force assignments, Dr. Kiefer managed several elements of the Air Force's Unmanned Aerial Vehicle (drone) research, development and testing programs. Dr. Emmanuel Kodzi's passion is to inspire deep learning and come alongside students as they develop skills in evidence-based decision-making. His work in academia is preceded by over a decade in technical and executive roles, managing made-to-order office furnishing projects. He has taught operations management and related subjects in four countries to practicing executives, graduate students, and undergrads representing over 30 countries. He has designed and executed supply chain immersions for several teams including 26 leaders from South Africa’s transportation industry. He has won the SGA Outstanding Faculty Award at Rollins College, and the prestigious Arthur Vining Davis Fellowship for “teaching excellence, contribution to the mission of Rollins College, and impact on students and colleagues”. His research activities are in the areas of operational alignment, international expansion, and supplier performance improvement in emerging economies. Kupetz currently teaches INB 200 Intro to International Business, INB 312 Asian Economic Tigers, and INB 321 Global Entrepreneurship. He is the founder of the Kpartnerz Foundation (www.kpartnerz.com), a Florida not-for-profit focused on supporting students in the pre-startup stage. In 2017 he started the SHEntrepreneurship initiative to earmark Kpartnerz funds specifically for women-led early-stage companies. He also is the co-founder and serves as the COO of venVelo (www.venVelo.com), a prominent early-stage venture fund. Kupetz has also taught at the East China University of Science and Technology (http://www.ecust.edu.cn/) in China and Kyungpook National University (http://en.knu.ac.kr/) in South Korea and lectured at the U.S. National Defense University (http://www.ndu.edu/). PhD in Finance, Judge Business School, University of Cambridge, U.K.
MPhil in Finance, Faculty of Economics & Politics, University of Cambridge, U.K.
BS in Business Management, Kings’ College at the University of London, U.K.
Richard Lewin is an Associate Professor of Finance at Rollins College. He teaches courses related to International Business, including International Finance, International Real Estate, International Investments, Alternative Investments, and FOREX, and supports the Crummer Graduate School of Business teaching Financial Management at the MBA level. Lewin is a regular visiting lecturer to the Transport Studies Group at the University of Westminster, UK. His publications on Equity Duration and Pension Annuities have appeared in several financial journals including the International Financial Review and the Journal of Pensions Management. Lewin has extensive international experience, living and working in the U.S., U.K., Italy, Germany, Hungary, and the Czech Republic. While working in the airport development business for PlaneStation Group plc, he worked in more than 20 countries. His international business experience includes serving as a Research Consultant to Citibank UK, an Investment Strategist for the Wiggins Group plc, Finance Director for Davis Logistics (UK Aerospace industry), as well as numerous specific consulting assignments in Europe. Lewin also has more than 20 years of personal investment management experience in a full range of financial market instruments and commercial real estate, as well as institutional research experience at Citibank (UK) and Credit Suisse Asset Management. In 2003 he founded his own real estate development company Bradstrong Ltd to further housing development in the UK. Areas of Specialization: Labor, Health, Education and Experimental Economics. Sheryll Namingit is an Assistant Professor of Economics at Rollins College. She earned her PhD and MS in Economics at Kansas State University. 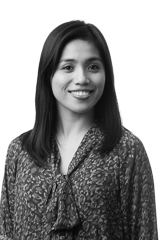 Sheryll Namingit has a BA in Economics from the University of the Philippines. Her research interests are in labor, health, education and experimental economics. Her current work includes field experiments that aim to examine the effects of illness-related employment gaps and post-baccalaureate certificates on a job applicant’s employment prospects. Dr. Justin Paul is a visiting professor of marketing and international business with Rollins College, Florida, USA and the Graduate School of Business, University of Puerto Rico. He is known as an author/co-author of text books such as Business Environment (4th ed), International Marketing, Export-Import Management (2nd edition) by McGraw-Hill & Oxford University Press respectively. Two books turned out to be best sellers in Asia. He has served as a full-time faculty member with premier institutions such as the University of Washington, Nagoya University of Commerce & Business, Japan and Indian Institute of Management. Dr. Paul serves as Senior/Guest/Associate Editor with the International Business Review, Journal of Retailing & Consumer Services, Small Bus Economics, European Journal of International Management, Journal of Promotion Management & International Journal of Emerging Markets. In addition, he has taught full courses at Aarhus University- Denmark, Grenoble Eco le de Management-France, Universite De Versailles -France, ISM University-Lithuania, Warsaw School of Economics-Poland and has conducted research paper development workshops in countries such as Austria, USA, Croatia, China. Dr. Paul has been a Program Director for training diplomats from different countries and served as a consultant to Government of India. He has been an invited speaker at several institutions such as University of Chicago, Fudan & UIBE-China, Barcelona and Madrid and has published over 50 research papers and bestselling case studies with Ivey & Harvard. His articles have been downloaded over 300,000 times out of which 90,000 downloads are from ResearchGate. Dr. Paul introduced Masstige Index and Masstige Mean score scale as an alternative measure for brand equity measurement and CPP Model for internationalization of firms. His publications are available on Research Gate-Dr.Justin Paul and his homepage is drjustinpaul.com. Areas of Specialization: Small and Medium-Sized Businesses, Entrepreneurship, Knowledge and Organizational Learning, and Family Business. 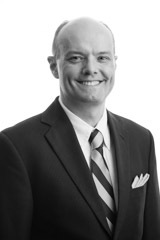 Dr. Timothy Pett is an Associate Professor in the Department of Business. Previously, he was a professor of management and coordinated the entrepreneurship program at WSU. His teaching and research interest deal with issues that confront small and medium-sized businesses, family businesses as well as entrepreneurs. He has published numerous journal articles and presented at international conferences. 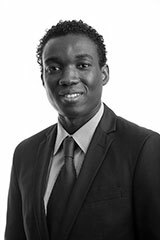 He has traveled extensively in Europe and has taught at both FHW Berlin School of Economics and Law (Germany) and Groupe ESC Pau (France). Rogers teaches courses in Strategic Management, Human Resource Management, High Performance Organizations, Critical Thinking and Problem Solving, and Organizational Behavior. His research focuses in improving individual and organizational performance and on organizational adaptations of HR Strategies to meet major changes (mergers, recessions, hurricanes, etc.). 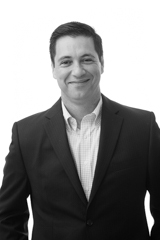 Marc Sardy is an Associate Professor of the Department of Business at Rollins College. He teaches various courses related to International Business including Finance, Investments, Statistics and the Entertainment Business. He has also published many journal articles, book chapters, and business cases in the field of international Business and Finance. Professor Sardy received his Ph.D. in International Finance from the Judge Business School at the University of Cambridge, UK. In addition, he holds a master degree in Statistics (MS) from the Zicklin School of Business, Baruch College, CUNY; as well as a Bachelors in Economics from The University of Chicago. Dr. Sardy is particularly interested in International Finance, Entrepreneurship, Entertainment Economics & Finance, and Complexity in Financial markets. 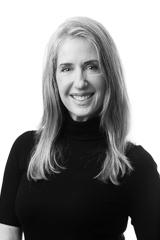 Dr. Sardy has extensive international experience. He has lived and worked in the UK, China, Australia, Canada, Malaysia, France and the USA and has traveled in the last couple of years to over 30 countries in Europe, Asia and Latin America. Prior to coming to Rollins, Dr. Sardy had extensive experience as an international strategy consultant for Bain & Company, a global management consulting company as well as many other consulting engagements. He also had experience freelancing in Film and Television production.